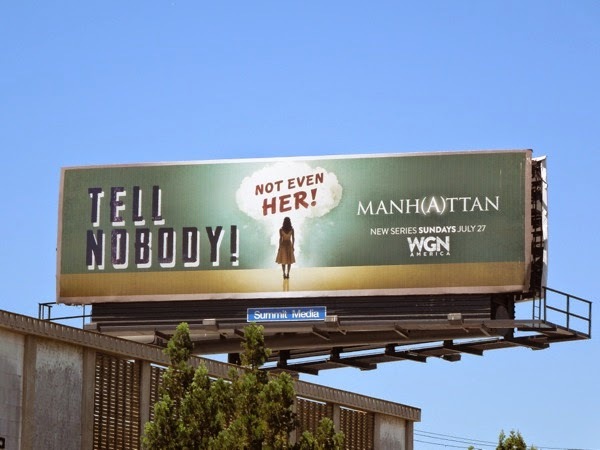 WGN America certainly likes to delve into the past for their new shows. 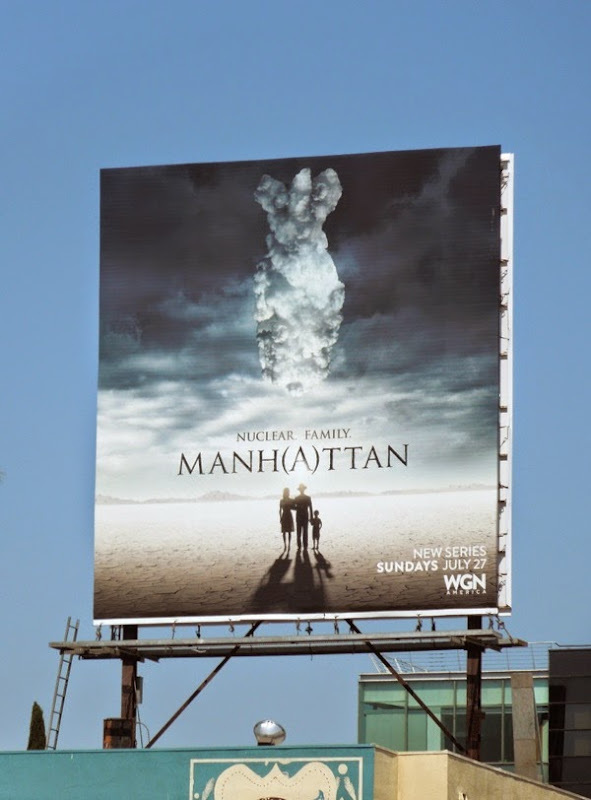 First it was Salem about the 17th century Salem Witch Trials and up next it's an explosive new series about the Manhattan Project from the 1940's. 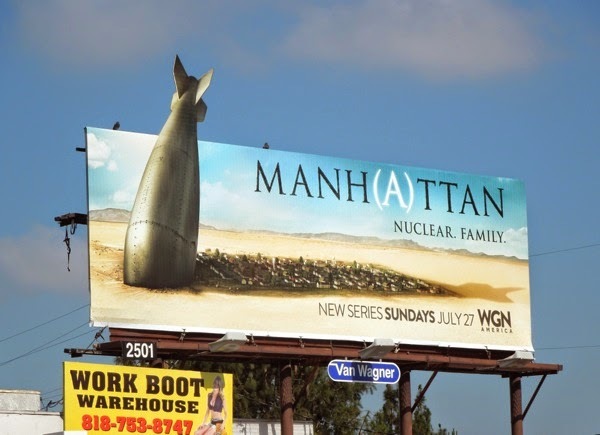 These billboard creatives for Manhattan with their atomic bomb imagery and the emphasis on the second (A) in the show's title certainly captures the spirit of a show about the secretive scientists and their families living in Los Alamos, New Mexico, who developed the deadly weapons used for the first time during World War II. 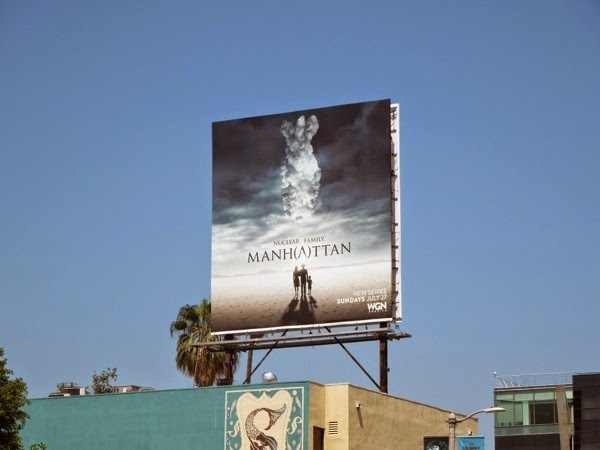 Just like Salem, which used intriguing outdoor ads creatives to lure in prospective viewers, these compelling billboards for Manhattan certainly make the series worth a look. 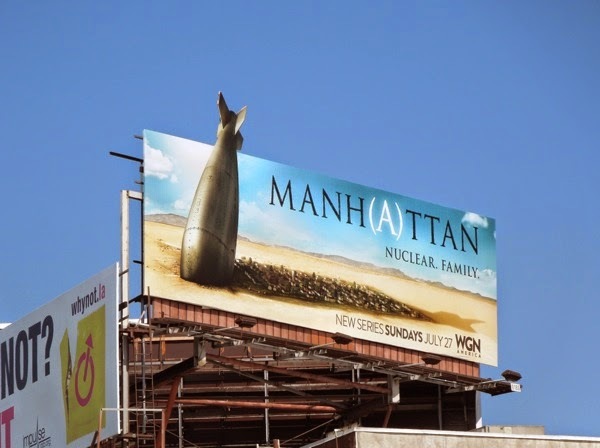 The special extension version features a giant bomb in the desert casting a foreboding shadow over the neighborhood of Los Alamos, whilst in the square creative the infamous atomic mushroom cloud is replaced by the shape of an atomic bomb with a family in shadows in the foreground for a clever visual. 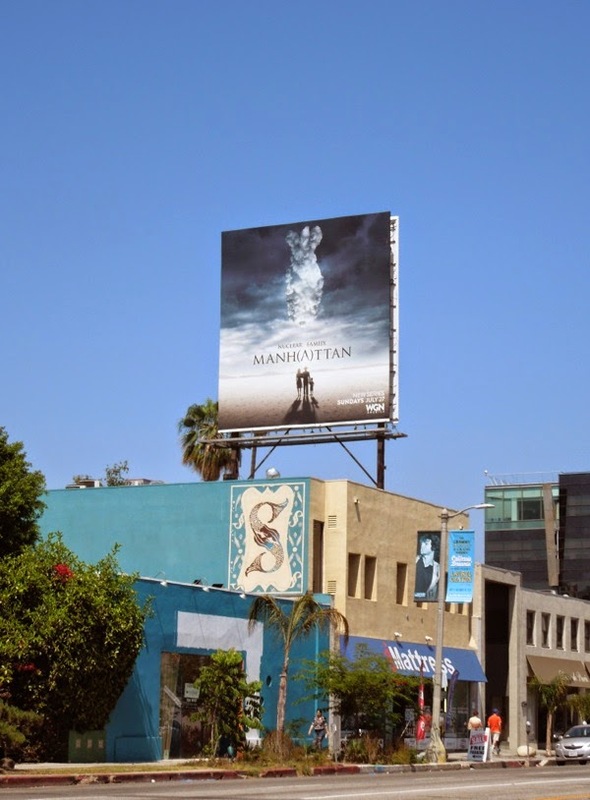 The bomb special extension was first spied along Ventura Boulevard in Studio City on June 27 and snapped days later along L.A.'s Sunset Strip, whilst the square ad creative was spotted along Beverly Boulevard on June 30, 2014. 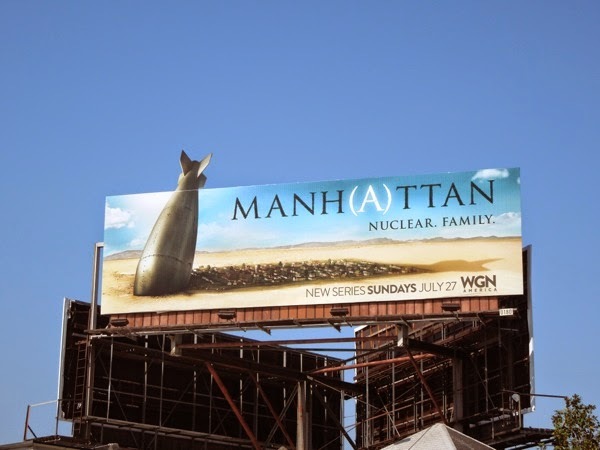 This new series really does give a whole different meaning to the term 'Nuclear family', although let's hope there's more drama to be had here than simply a dull history lesson. 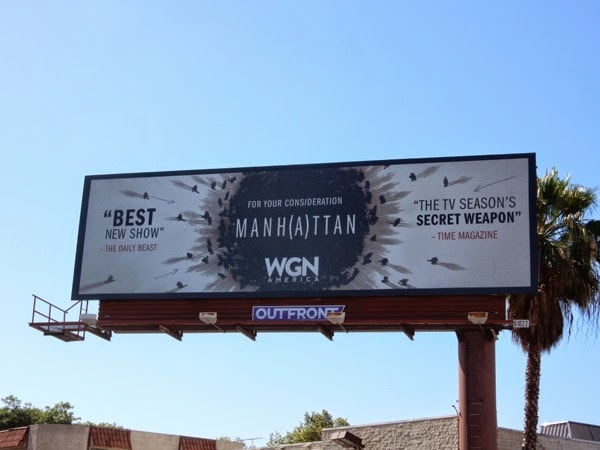 One thing's for sure, one way or the other, this show's going to be da bomb (sorry, couldn't resist). 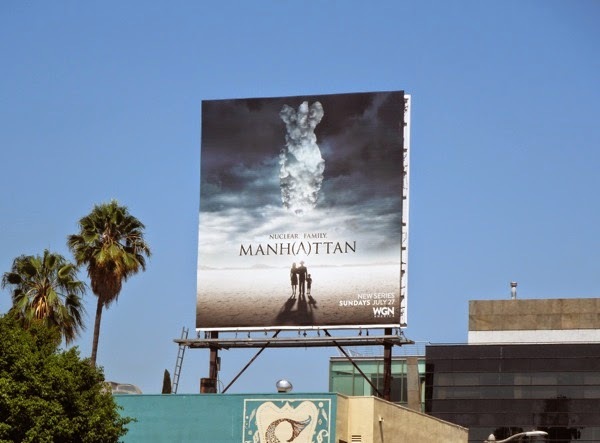 UPDATED: Here's another clever ad creative for the new Manhattan series, this one fashioned after those old World War II propaganda posters where careless talk costed lives, and works equally well for this new drama about the secret development of the atomic bomb. 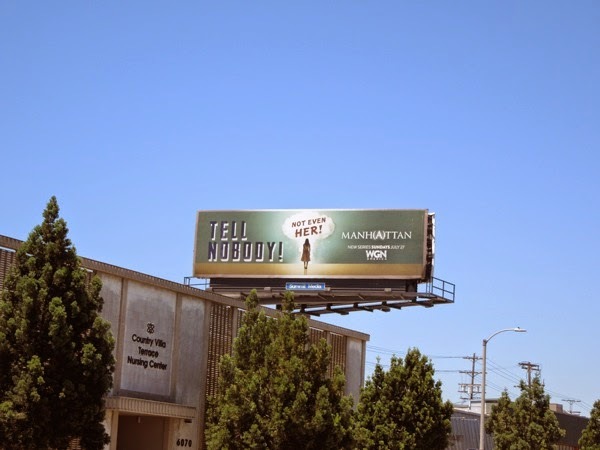 This retro-style 'Tell Nobody - not even her!' 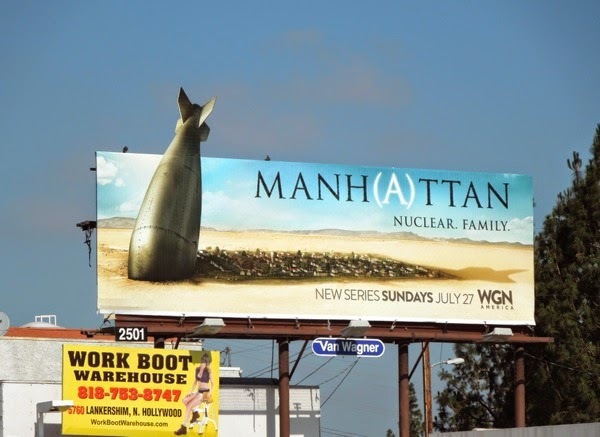 billboard, which also cleverly incorporates the mushroom cloud iconography again, was spied along Pico Boulevard on July 23, 2014. 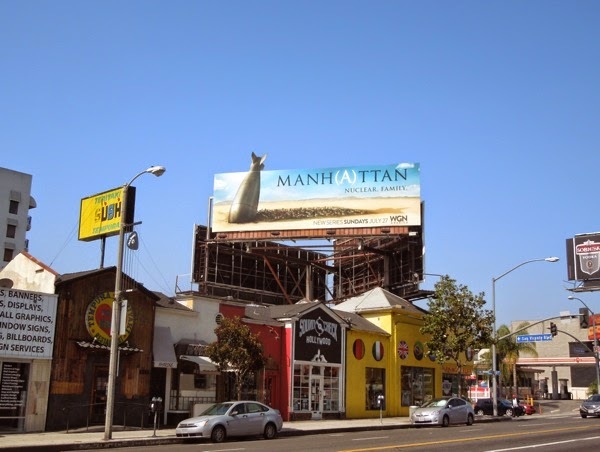 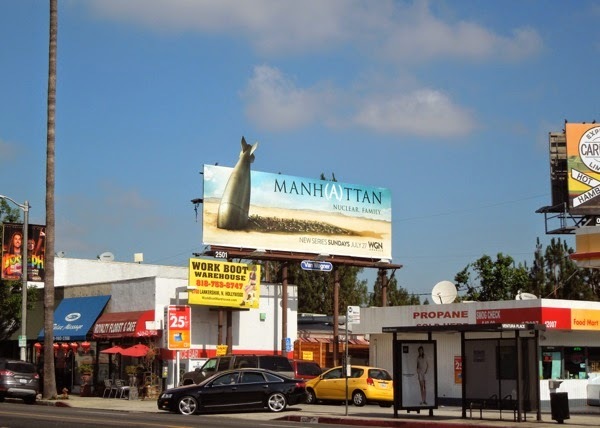 UPDATED: To catch Emmy voters attention Manhattan had this clever ground zero-themed billboard along Fairfax Avenue on May 2, 2015.